You are looking at a genuine Austin Mini Cooper S that we have known for nearly twenty years. 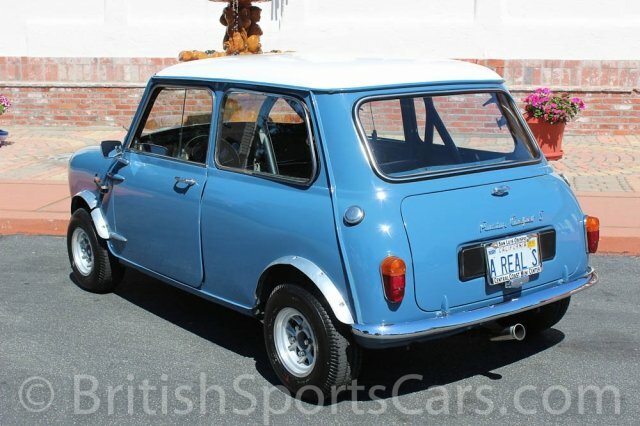 It is important to remember that this is a genuine Cooper S, and not just a Mini or a Mini Cooper. These genuine cars are very desirable as very few were produced. This is an original California car which makes it one of just a handful ever imported to the United States. This car was fitted from new with a Cooper S-only, right-hand fuel tank which you can see in the photos and video. The engine is a genuine Cooper S engine and does have the tappet cover on the back side of the engine. As you can also see in the photos, the car has been used as a vintage racer, but is still very much a street car. We just installed a spring conversion on all four corners of the suspension and have added Hi-lows so the height can be adjusted on all four corners. The car is also fitted with a fully adjustable suspension front and rear so that the cars camber can be adjusted. We have also just installed four new Yokohama A008 tires. The car is fitted with a fiberglass one-piece front end for easy access to the engine. A steel front end can be purchased, and easily installed if one desires. The paint and body is not perfect, but is presentable. The car runs and drives great, and will be a great driver as is or taken to the next level. Please feel free to contact us with any questions you have.